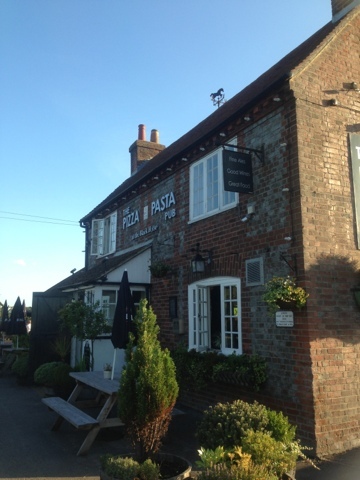 We visited this gorgeous little pub out in the gorgeous countryside near Chichester called The Pizza & Pasta Pub and what a little delight it is ! 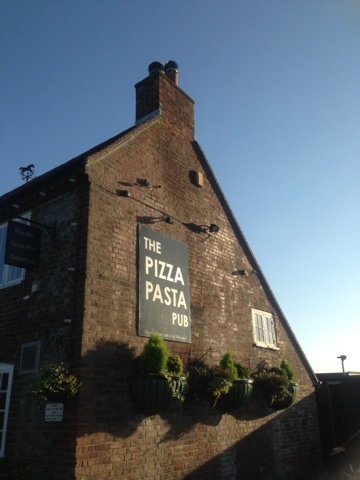 Set right next to some fields, with a lovely outside seating area (including play park) and a lovely cosy atmosphere inside. 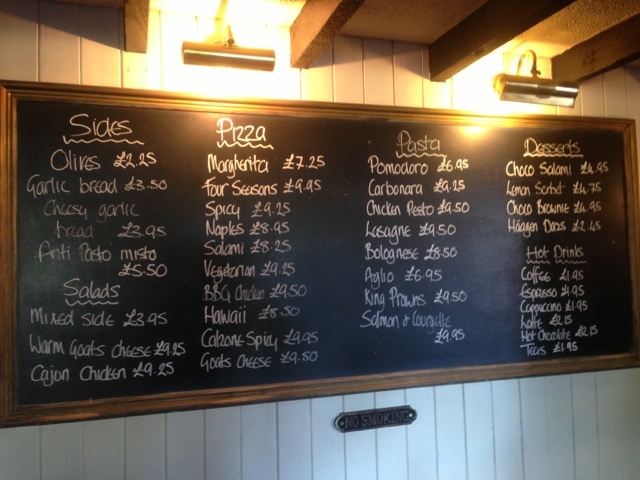 This is the pubs current menu - such a great idea to serve just a few things, as they can then do them really well ! 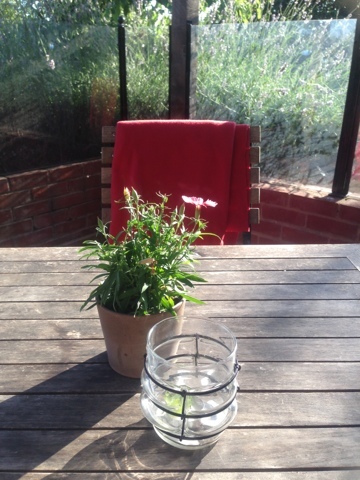 We sat in the little courtyard area outside and I LOVED to see a blanket for when it got cooler in the evening ! 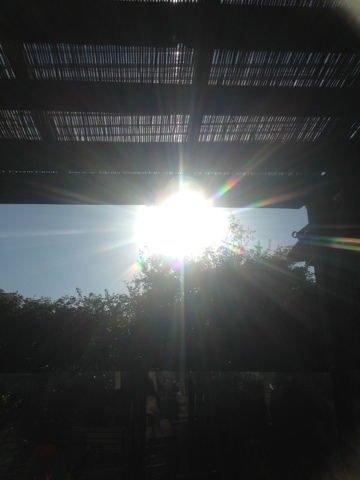 The sun was shining so it was even more gorgeous !! 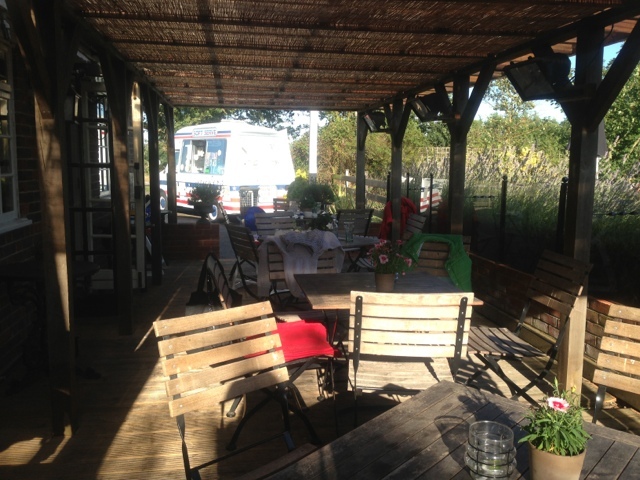 This is the little outside seating area and they had benches out on the grass too, oh and did I mention - an ice cream van !! 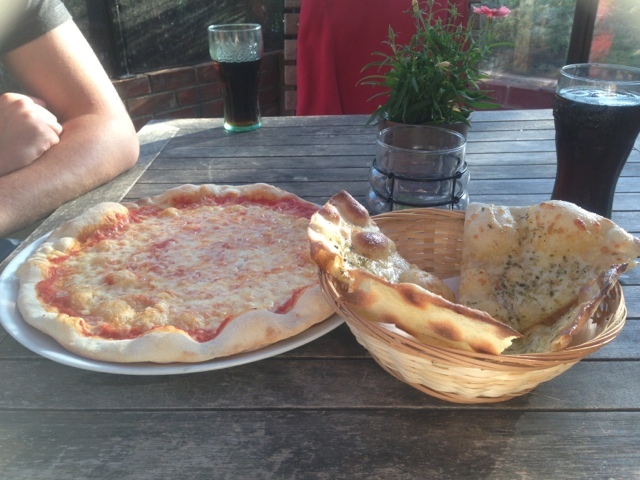 Oooh then came our yummy Pizza & Garlic bread !! You can tell it's homemade ! Delicious !! Look at the queue, it's apparently super busy at dinner times...... !! 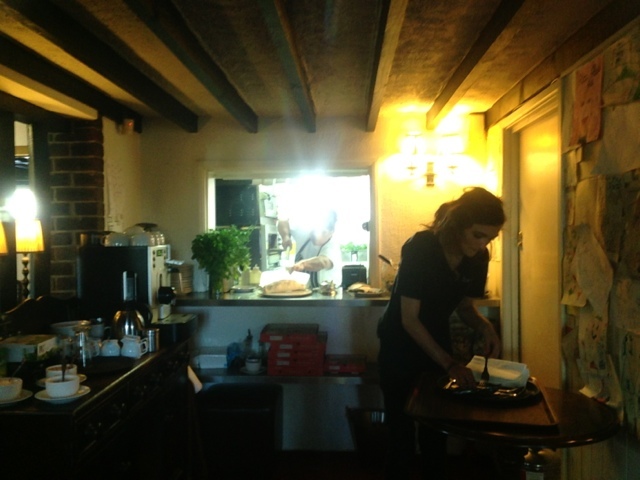 They even let you peak in to the kitchen !